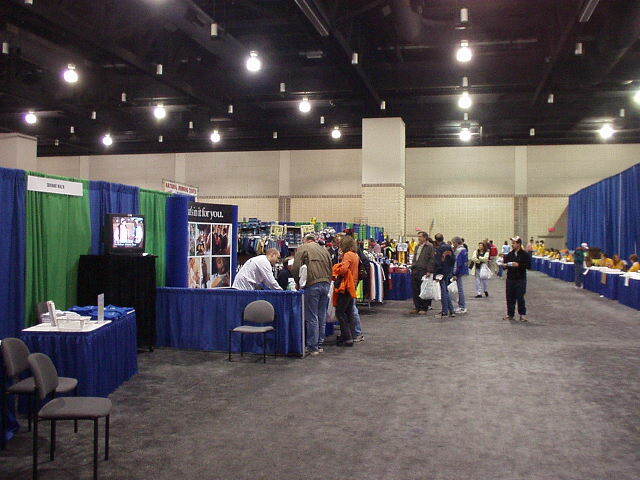 After finding my hostel in Knoxville I hearded towards downtown, since I had to pick up registration materials for the Knoxvile marathon in the Knoxville Convention Center. 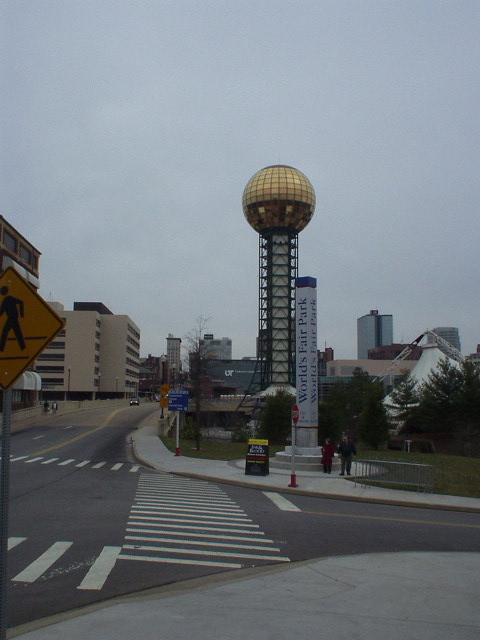 Downtown turned out to be remarkably easy to find due to the World’s Fair Sunsphere towering above the city and easily visible from miles away. The Convention Center, World’s Fair Park, Art Museum, and Fort Kids are all next to one another. The Women’s Basketball Hall of Fame is not too far away. Now, one would think that with all of these things downtown along with a marathon expo (open to the public) would attract a lot of people to this area, but no, it was almost like a ghost town were it not be for the runners there to pick up registration materials. One reason for this is that within a 3/4-mile radius of this area, there did not seem to be any restaurants or cafes. Without such, there was no reason for locals to hang around this area except for maybe the occasional business or tourist visit. 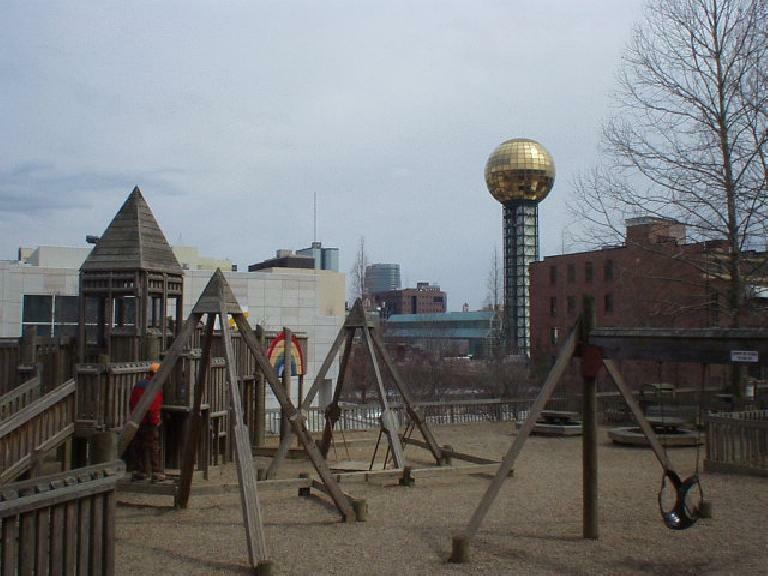 Indeed, the faded, tarnished brass sunsphere towering above seemed to symbolize a city whose glory had long passed, a city which tried desperately to harken the days yore of the 1982 World’s Fair and history related to the Civil War of the 1860’s. 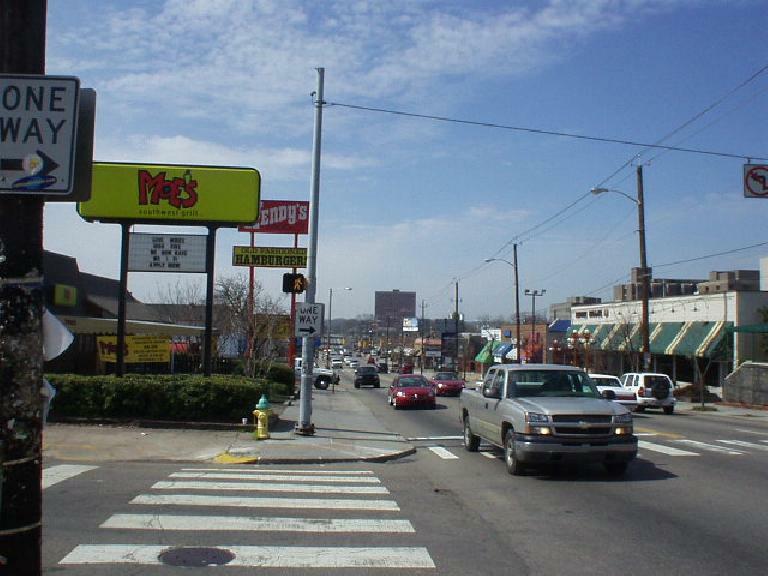 After picking up my registration materials and wandering around on foot for 45 minutes without finding any place to grab some food, I resigned back to the car, and drove over to “The Strip” a mile away on Cumberland Avenue, which is near the University of Tennessee. Now, over here there are plenty of restaurants (practically every single shop), which gives some credence to the notion that “Knoxville has the most restaurants per capita of any American city.” (Source: BBC.) 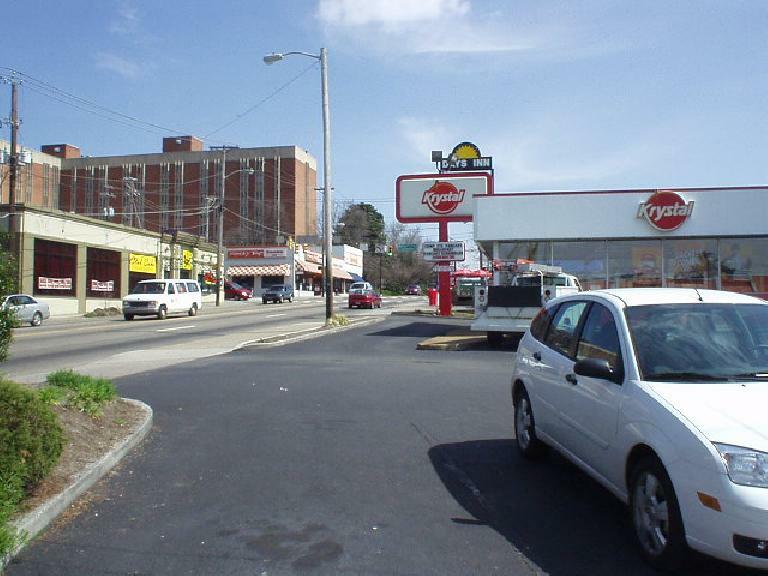 However, I was largely unimpressed as most restaurants were low-end chains with little character, such as Krystal’s, McDonalds, Wendy’s, Taco Bell, etc. According to the Chamber of Commerce, the Old City in Knoxville (northeast of the Sunsphere, kind of between Gay and Central St.) is bustling with shops and restaurants, but when I drove through there, I didn’t notice anything extraordinary. Each time I did drive through there, there seemed to be a dearth of people out and about too. The people I did see, encounter, or talk to, seemed to greet me more with an air of suspicion than a smile–a notable contrast with Asheville and the Triangle region of North Carolina, where everyone just seemed so happy! The first day I actually drove around Knoxville quite a bit. Unfortunately, during this tour, I unwittingly went through most of the low-income neighborhoods and none of the higher-end ones. The former were comprised mainly of dilapidated housing with jalopies lining the streets. There were, however, many people out and about here hanging around the homes, seemingly more people here than downtown. I then looked for a grocery store. This took me about half an hour. Finally, I settled on one not too far from the Knoxville Zoo. This market was in a really sketchy area, with a homeless-looking guy smoking a cigarette out front and the store owner trying to shoo him away. The store owner did open the front door (with bars on it, no less) of this market and I picked up some low-quality bread and turkey for a snack. The store kind of reeked and I was out of there pretty fast. 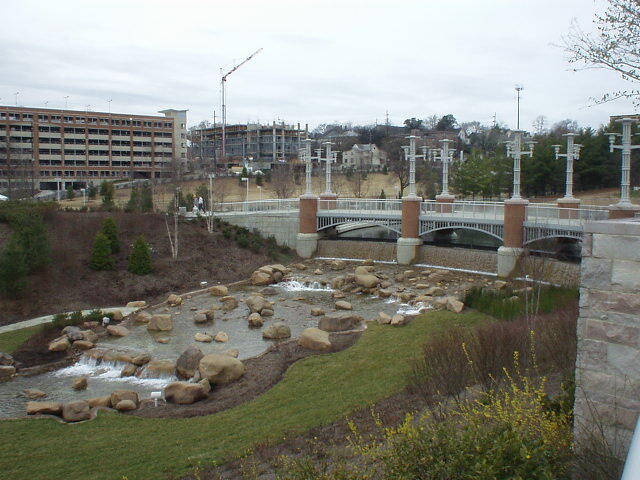 There are some good areas of Knoxville, however, as I would see while running the Knoxville Marathon the next day. (Indeed, it seemed like the planners of the Knoxville Marathon tried to route the course away from the low-income areas the best they could.) In particular, the west side of Knoxville is pretty nice with modern Southern-styled homes and nicely kept lawns. There are also several greenways in Knoxville that are nice to run on. From Miles 8-10 of the marathon we ran on the Third Creek Bike Trail which was very pleasant. 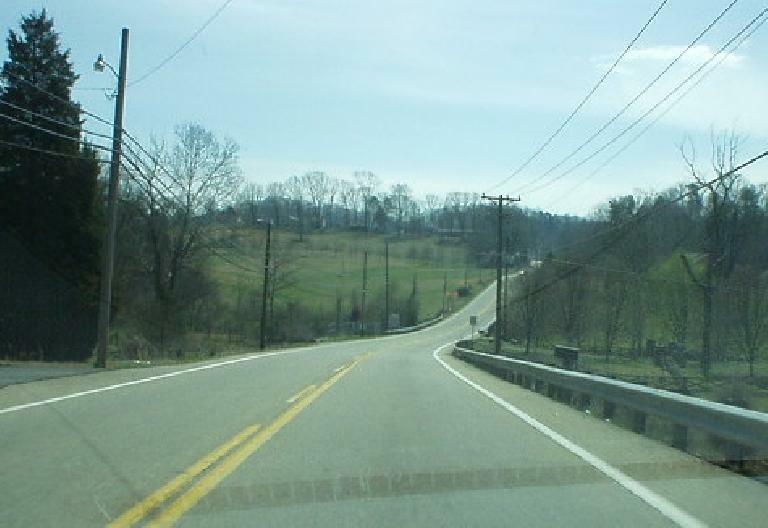 Also, the countryside on the outskirts of the southern side of Knoxville (towards Maryville) was pretty, with Highway 411 dubbed the “Tennessee Scenic Parkway”. But my initial impressions stuck. If anything, seeing these nicer areas the second day only made me realize how segregated the city was. One side was predominantly white and middle class, while the other half was primarily black and low-income. All-in-all Knoxville was not a bad city, just lower than my expectations. It has the potential to be a great city one day. It has quite a bit to offer including a good location (near the Great Smokies and many lakes), some culture, moderate weather, and a very low cost of living. Perhaps it’s the latter, however, that attracts newcomers to move here. My last acquaintance in Knoxville, with a guy named “Felix” (real name was Donald, but since “he did not look like a Donald”, he gave himself the nickname Felix, and even had Felix the Cat tattooed on his arm.) Well, this guy–a 25-year-old high school graduate–had just recently gotten married and was awaiting a newborn baby. He lived in NY but was planning on moving to Knoxville to raise his family. When I left him, he was on the phone with a landlord and trying to convince him that $500 for a 2-bedroom apartment was “too much”. I don’t know what he ended up renting but I hope he enjoys his new city all right. Next time mabey you should think about Tn in general. It has the oldest moutains, the most diverse plant and insect life. Not to mention one of the best college football teams. It is the goverment that put these (poor) families in one small area. 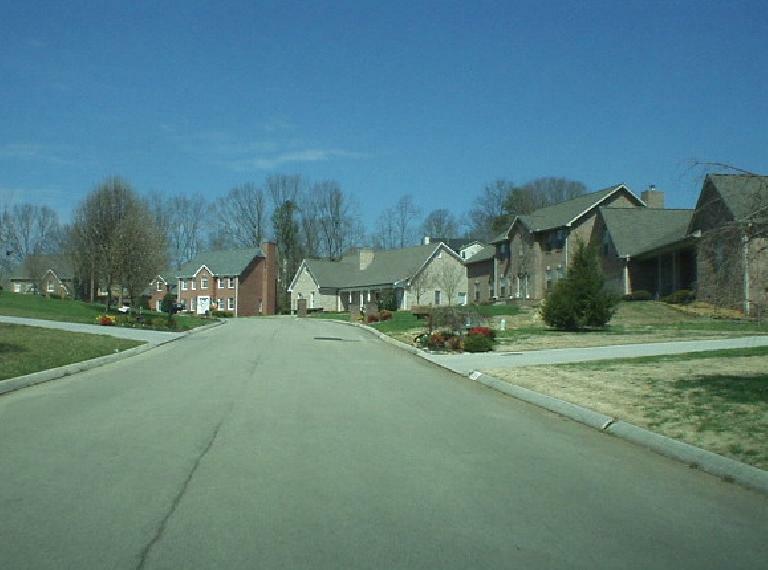 The worst part about knoxville, even in the nicer areas, is that new houses under construction are built poorly and biulding inspectors are paid off by major contractors! O yeah and did I mention employment is hard to find and quality jobs even harder , this is a right to work state ! None the less its beauty outways it all and thats enough for me. welcome to K-town. Apparently you managed to find every fault in this city in your first visit and none of the advantages that this city has going for it. First I would like to point out that you went shopping in the lamentably depressed side of town, every city on the planet has one of these. Secondly, it needs to be mentioned that the sunsphere anchors a municipally planned park, thus no businesses and no reason for locals to go there absent any special events. Third, the restaurants per capita ranking is based not on fast food chains but full service restaurants, which are plentiful mainly thanks to the urban sprawl in west Knoxville. Fourth, the city is ranked 8th nationwide in terms of urban sprawl, which would indicate that the city is showing marked growth in contrast to your assertion that this is a ghost town. It must be mentioned that almost every city in America suffered a migration from the inner city to the suburbs following the 1950’s. This can be evidenced in other cities such as Detroit and Buffalo. Knoxville was no exception. The 1860’s certainly were not the city’s glory days, nor were the 1980’s. Instead the most growth occured sometime around 1920. The World’s Fair was intended to drum up economic activity which worked or failed depending upon which economic sector you consider. The city is well on its way to recovery from the urban exodus of the late 20th century as is evidenced by the exponential boom in real-estate values and downtown population. 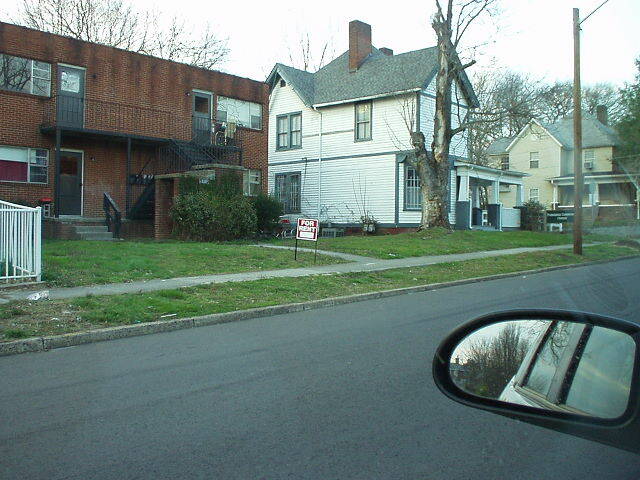 In conclusion, the evidence speaks to the contrary of almost every assertion you made about this city, with the exception of the fact that there are some nice houses in west knoxville. Perhaps you needed a better tour guide. John, seems like the info you provided merely provided explanations for and confirmation on what I saw, not speaking contrary to the assertions I made. You provided some excellent information, however. Thanks.